I remember driving around with a friend of mine when I was about 19 years old in the Adelaide Hills. I can’t remember where we were going. She had a boyfriend, at the time as did I and we were just being young, cruising around the hills. They weren’t with us on this particular jaunt, though. It got dark and we got dreadfully lost. This was pre-GPS days, of course! 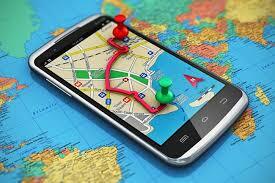 Our mobile phones were like bricks and they didn’t have the MAPS app installed in them. We eventually found our way to a town called Angaston which was a LONG way from where we thought we were and we ended up making our way, uneventfully home! There were numerous stress points. I thought we were going to run out of fuel. I thought my boyfriend at the time was going to tear strips off me for being late. We thought my friends boyfriend was going to do the same. To us, we were having fun, driving around god knows where, laughing and chatting and just having a grand old time. But the point was, that we didn’t know where we were going and we got lost. We weren’t sure how to make our way back, but we did. Yes, it was an adventure, but it also caused a lot of stress. It caused fights and it caused tension and anxiety. What started out as fun didn’t really end up being all that fun. If you think about business, if you don’t know where you’re going, it can feel kind of adventurous at the start, but if you don’t REALLY know where you’re going or how you’re going to get there, it can create untold amounts of stress and anxiety. 94% of businesses no longer exist after 2 years. And of the 6% that remain, 50% of those don’t last to the 5 year point. You’ve got to start asking WHY THE HECK THAT IS. It’s a bit like getting in your car, starting it and commencing driving with no idea how to get to where you want to go, no map, no plan of where to refuel. You could end up in the middle of the desert with the tyres melting off the car!!! I’m so tired of seeing the incredibly sad statistics that get posted. I’m tired of seeing business owners who have GREAT concepts and wonderful ideas go out of business, quit and give up when it can be avoided. You must know where you’re going – you’ve got to have a plan. You’ve got to know HOW to market yourself, because everyone needs leads. Everyone needs enquiries. Without the leads, you don’t have a business nor a pipeline. You’ve got to also know how to convert those leads into sales, because unless you’re making money, you don’t have a business! The only way to get a client is to have a sales conversation (or proposal) and close the deal. I’ve been helping business owners do this for years through different mediums. Should you want help with this reverse engineering your goals, get in touch and I’ll see how I can help.